The Royals claimed relief pitcher Enny Romero off waivers from the Pirates on Friday. As they continue to evaluate young players and determine which ones can contribute to the next great era of Royals baseball, GM Dayton Moore and company have frequently taken advantage of the waiver wire in 2018. That was the case again on Friday, as Kansas City claimed 27-year-old left-handed reliever Enny Romero off waivers from the Pittsburgh Pirates. The Royals will be Romero’s third team of the season, as he began the year with the Washington Nationals before being claimed off waivers by the Pirates on April 14. He’s spent most of the season on the disabled list due to a left shoulder impingement and has only made two appearances with each club; over those four games combined, he’s posted a 7.50 ERA with seven strikeouts and four walks over six innings. 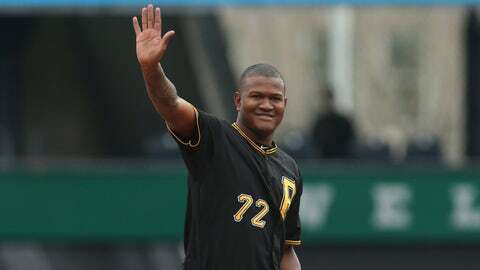 In five major league seasons split between the Tampa Bay Rays, Nationals and Pirates, Romero has a 4.69 ERA, 153 strikeouts and 72 walks over 142 innings. To make room for Romero on the 25-man roster, right-handed starting pitcher Trevor Oaks was optioned to Triple-A Omaha. Right-hander Blaine Boyer, who is on the disabled list with a lower back strain, was transferred to the 60-day DL.